This 100% Shiraz originates from Langhorn Creek, South Australia. David Knight, the winemaker, prides himself on the belief that great wines begin with the vineyard. Yields are carefully controlled to produce rich color and concentrated flavor. 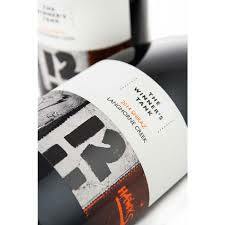 This wine is fermented in stainless steel and finished in French oak barrels for 12 months. Grape juice in a bottle, serious grape juice! This is smooth, dark fruit, with a dry finish. Shiraz is one of those grapes that everyone should love. It’s bold, has lots of fruit, and makes no apologies for being obnoxious. Best served with BBQ spare ribs and good friends. 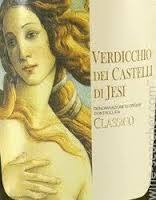 1st bottle: Verdicchio dei Castelli di Jesi D.O.C. This 100% Verdicchio originates from Marche, Italy. It is grown on 21 hectares soil comprised of clay, limestone, and sand. Fermentation occurs for four months in temperature controlled tanks and is bottled aged for four months. 900 Cases produced annually. This is really fun white wine! It is light, crisp, fruit driven, with citrus all over the place. Some people refer to Verdicchio as a “thinking person’s Pinot Grigio.” It’s similar with a lot more complexity. If you love Pinot Grigio and you are ready to branch out, or you just love white wines, this is a must try. Best served with steamed clams and mussels, and with friends. 2nd bottle red: Sara Rosso Toscano I.G.T. This Sangiovese (90%) and Ciliegiolo (10%) originates from Toscana, Italy. It is grown on seven hectares of soil that is comprised of river stones, chunks of quartz, and ancient flaky shells. This wine undergoes malolactic fermentation in stainless steel and matures for 2 months in the bottle. There was 2,000 cases of this wine produced. Talk about your perfect everyday Italian wine! This is perfect with food and not super dry for being 90% Sangiovese. You will get lots of cherry complemented by earth tones. Best served with penne with fresh tomatoes and basil. Oh, and with your family! This blend of Cabernet Sauvignon (77%), Merlot (13%), Malbec (7%), and Petit Verdot (3%) originates from Napa Valley. 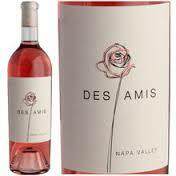 Des Amis translates as “friends.” This name was chosen because of how important friends are in the winemaking process. The grapes are sourced from many different growers and produced in a shared facility. This wine presents with a bouquet of wild strawberry and watermelon. It is a dry style rose, definitely not too sweet! You will also get notes of tropical fruit and wildflowers. It is a bang for your buck porch pounder! Save it for when we get our next random heat wave and pretend summer is here. Enjoy with friends on your patio, no food needed! 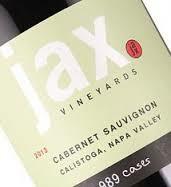 This estate Cabernet Sauvignon (95%) (5% Cabernet Franc) originates from the JAX Vineyards in northern Calistoga. Particularly interesting highlights about this vintage include an unusually early harvest, significant quantity of rain in late February and early March. This grapes were handpicked, and cold soaked. After fermentation, this wine is aged for 21 months in French oak (70% new). (Kirk Venge is the winemaker.) 998 cases were produced. Great wine with a simple label. This is a big time Napa Cab with bold cherry and wild sage throughout. It is a fruit bomb with an herbal finish that does not quit. I recommend opening this wine and enjoying it over time. Perfect right out of the bottle and also after being decanted for several hours. This wine is an experience! Best served with a nice NY steak, and friends. This is a fruit driven Chardonnay. It is SPECIAL! 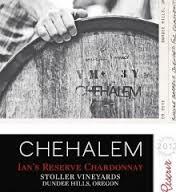 This is not your typical Chardonnay. This should be reserved for a special occasion or to get you out of the dog house. You will taste baking spices, brown sugar, butterscotch, lemon and white flower. It is both beautiful and complex. Best served with molasses glazed salmon and wild rice and with friends. 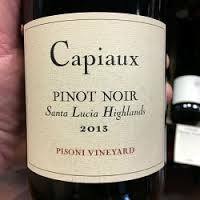 Sean Capiaux, long time winemaker for O’shaughnessy, continues to impress with this 100% Pinot Noir from the Pisoni Vineyard in the Santa Lucia Highlands. This wine received a score 93 points from Robert Parker Jr. This wine is bottled unfiltered and undergoes malolactic fermentation in the barrel. Production is limited to 377 cases. This is super high-end Pinot Noir. It is earthy, spicy, and complex Pinot Noir at its best. Unbelievable flavors in such a light bodied wine. This is special occasion wine or perhaps an occasion to impress your friends. All of Sean’s Pinots are best served with a big hunk of rosemary lamb and friends.